At JG Speedfit we know it takes more than elbows, straights and tees to get the job done. So, the next time you need to connect an appliance or fixture to the water supply or service existing pipework, why not make your life easier with our extended range of push-fit tap connectors, service valves and stop valves. Just like our core plumbing and heating system, our wider family of products use Speedfit Technology to create a reliable, leak tight seal that is fast and simple to install. With a variety of tap connectors, stop taps and service valves in all shapes and sizes, we’ve got everything you need for any type of application. And they are not just available in plastic, we make brass and chrome-plated push-fit fittings too. 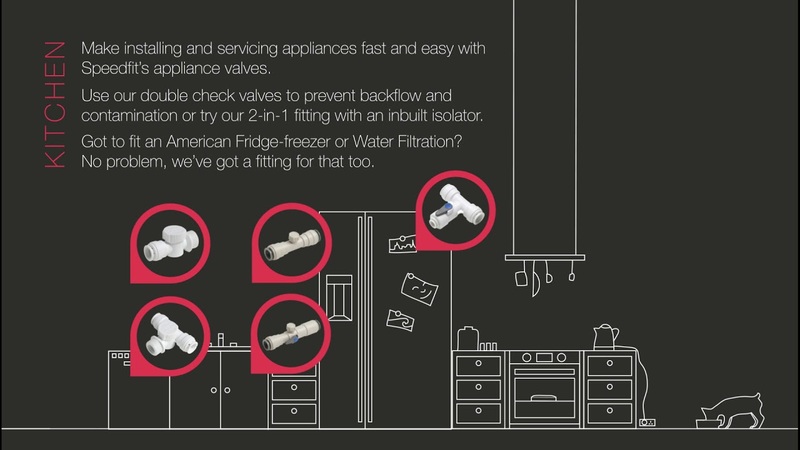 For labour and time saving tips, explore our website or watch our short video to see where else Speedfit products can be used around the house.